With its main branch occupying the Azza (Gaza) Road space that for decades was the home of Cafe Atara, a favorite hangout of Jerusalem’s bohemian and political elites, Sushi Rehavia is here to make a statement. 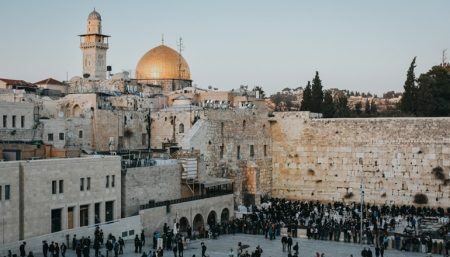 The inherent conservatism of Jerusalem poses a unique challenge to anything new and exciting that wishes to gain inroads into the city, and this is holds true when it comes to food as well. Sushi has indeed taken its time gaining a foothold in Jerusalem, but the presence of Sushi Rehavia is a clear indication that Japanese food is no longer a curiosity in this city. Since opening on Azza Road, Sushi Rehavia has expanded to three additional locales, opening restaurants on Emek Refaim Street, Hapalmach Street and the City Center – the headquarters of its highly successful delivery business – and is slated to soon bring the sushi gospel to the Mamilla Mall. Sushi Rehavia’s menu encompasses as broad a selection of sushi options as the kosher certification will allow, also offering a range of tasty noodle dishes, soups and appetizers. When it comes to starters, the negimaki sirloin and asparagus skewers come highly recommended, while the entree department boasts such standout dishes as the Red Sun spicy noodles and crispy chicken chunks in Vietnamese pepper sauce, with peppermint, scallions and coriander. The food is great, we had several sushi rolls and starters. Service is less than average, slow and forgets things we ordered, I wish I could say it was a one night thing but unfortunately not. We were at the branch in Emek Refa'im (the German Colony) and, as usual, we weren't disappointed. The service and food were very good, and the price reasonable. Despite it being a busy time in the evening, we didn't have to wait too long for our food to arrive.